Everyone knows that caterpillars dream of becoming butterflies - this is not a secret. But not every caterpillar receives wings. What will the caterpillar Kimi do to get the treasured wings? You will learn all this after reading the story of a small caterpillar. 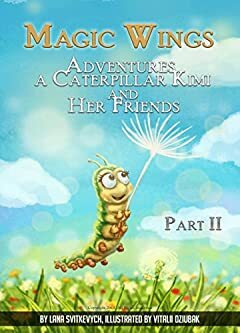 An unusual and instructive story about a small caterpillar Kimi and her friends (part 2). Be sure to discuss this with the child after reading! Beautiful drawings of the book will make reading even more enjoyable and interesting.